We already posted Tamron SP 15-30mm announcement article for canon EF mount on December 19th, 2014, now today tamron announced the same lens for A-mount, the lens is available for pre-order at B&H store. Saitama, Japan – Tamron Co., Ltd. (President & CEO: Morio Ono), a leading manufacturer of precision optics, announces the release of a groundbreaking F/2.8 ultra-wide-angle zoom lens for full-frame DSLR cameras. Since 2012, Tamron has been expanding its lineup of interchangeable lenses for full-frame DSLR cameras. 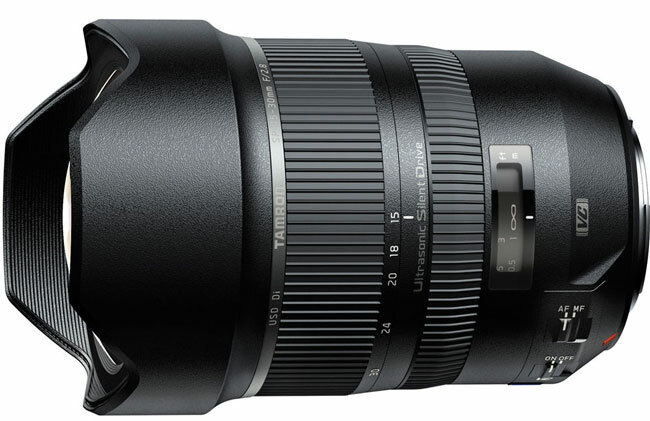 The Tamron SP 24-70mm F/2.8 Di VC USD (Model A007) was the world’s first F/2.8 high-speed standard zoom lens to include image stabilization, followed by the development of the unique SP 70-200mm F/2.8 Di VC USD (Model A009), SP 90mm F/2.8 Di MACRO 1:1 VC USD (Model F004), and SP 150-600mm F/5-6.3 Di VC USD (Model A011) lenses, all of which have been highly acclaimed among the photo enthusiasts around the globe. Now, we have developed SP 15-30mm F/2.8 Di VC USD (Model A012) to expand the world of imaging possibilities in the wide-angle range. Can I assume, since this seems to be full frame that it is actually a sony FE mount, as E mount is APSC sized image circle?